I haven’t had much time to finish any projects around the house lately. But I remembered a project that was already completed that I could share with you guys. My master closet makeover!! I think it’s every girl’s dream to have a fully organized closet that’s huge and makes all your friends drool. 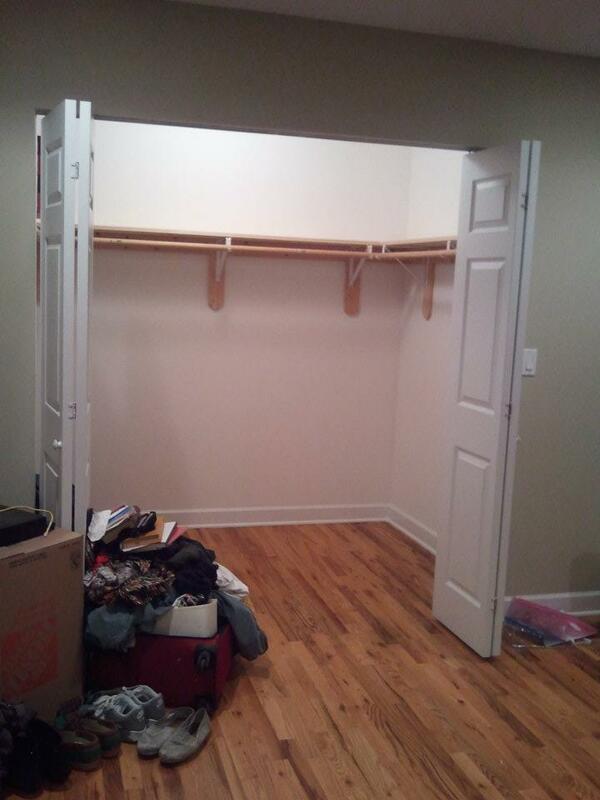 Well, when I first looked at this condo and the realtor opened the closet doors…I think I said, “OH. MY. DAMN. This is MY closet?! ?” And then I made some sort of joke about how it could be the nursery (for my unborn children O_O). Here’s my closet BEFORE. Please excuse that pile of clothes and stuff. That’s just how I roll. It's like a little room in there! First, I had to paint it. I wanted something girly, but not overtly. I have a really masculine sense of style and I’m really trying to tone it down in my condo. So I decided on purple. But WHICH purple?!? There are SO many to choose from. 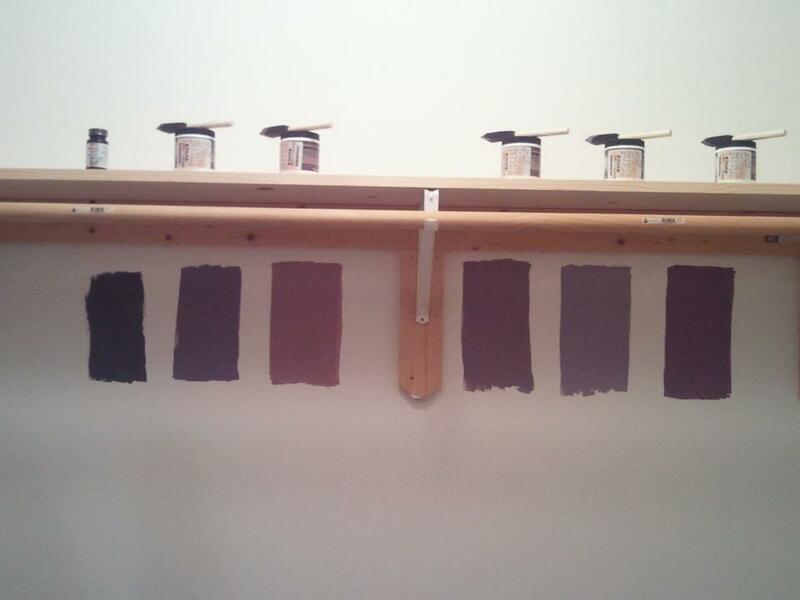 I put this picture up on Facebook and let my friends vote on the color I should choose. Starting from the left, with the far left being number 1, most people chose number 5. I was teetering between numbers 3 and 5 anyway, so 5 it was! And there it is! Well, that’s one side of it. You can see purple number 5 turned out really well. 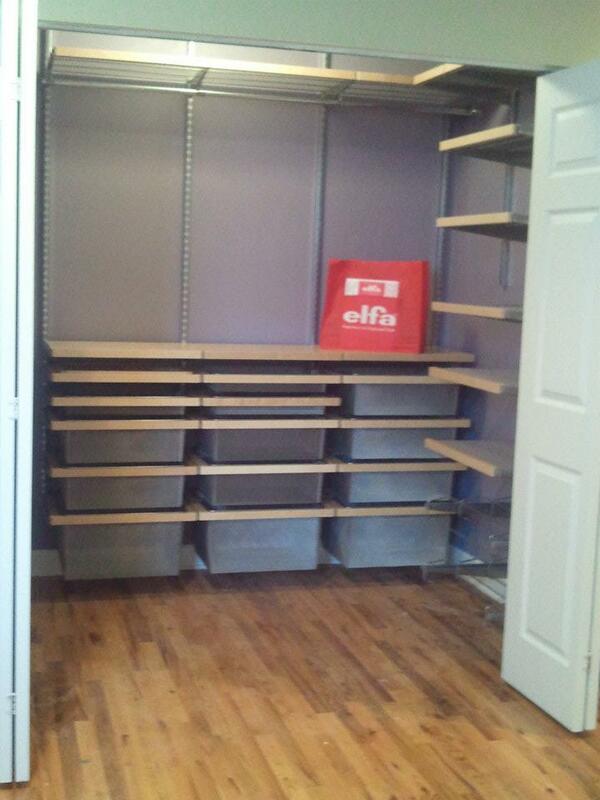 As far as the design goes, I worked with a lady at The Container Store to design my perfect closet. 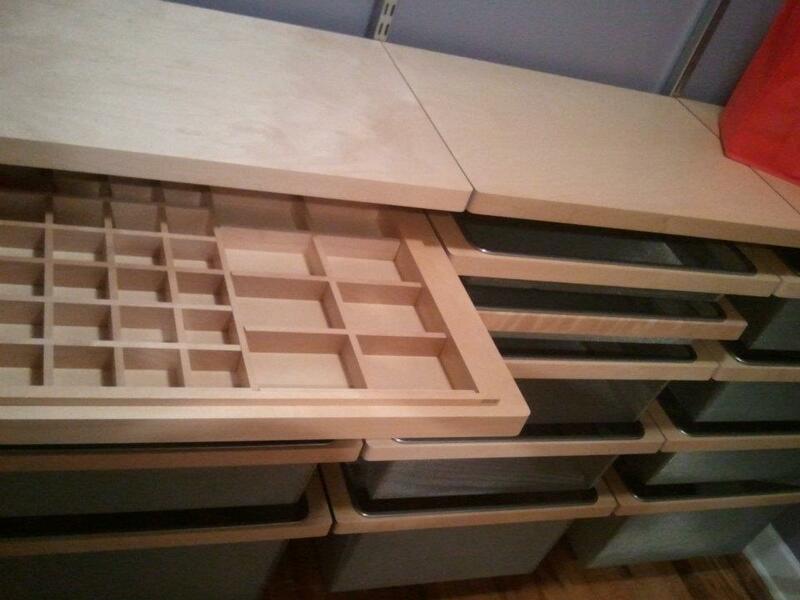 I told her that I wear a lot of t-shirts and that I tend to fold clothes, rather than hang them up, so she gave me hella drawers to put my clothes into. 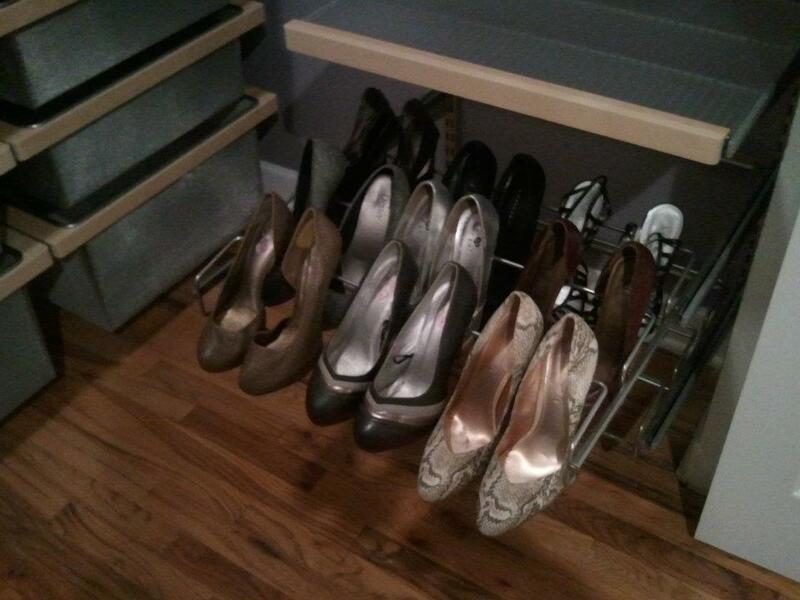 I guesstimated about how many pairs of heels vs. flat shoes I had. And she gave me ample storage for that. I don't have that many pairs of heels. Sad...I know. OMG! Rock my world why doncha?!? Do you have any other ways to keep your closets organized? Posted in Makeover and tagged Behr, closet, Container Store, deals, Elfa, makeover. Bookmark the permalink. 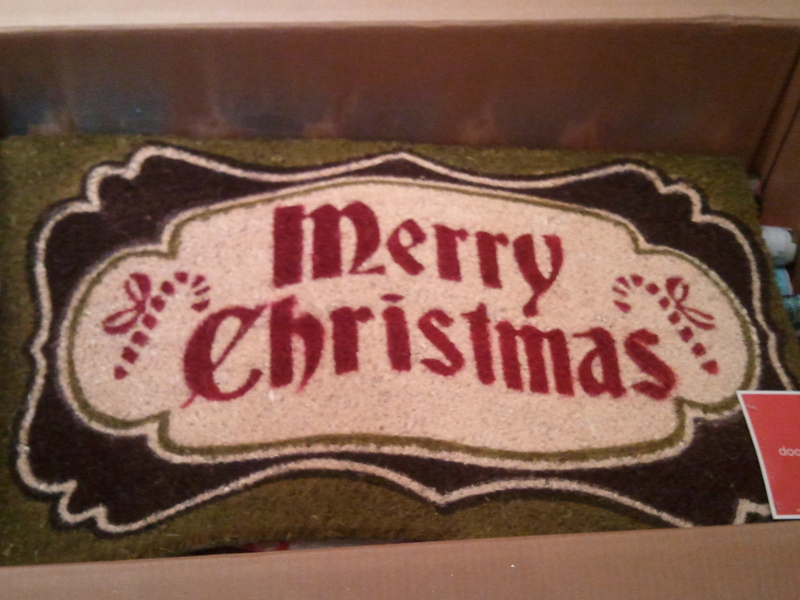 Yep, it’s January 12th and I’m still thinking about Christmas. Shopping for Christmas, that is!! 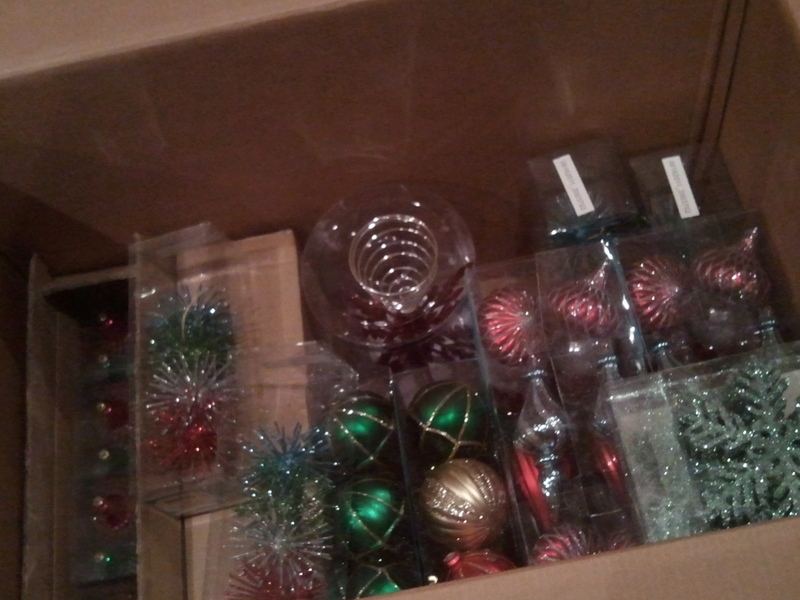 I ordered HELLA (read: a lot of) ornaments recently from Home Depot. This box contains $260 worth of ornaments and other Christmas accoutrement, like a tree topper, that I bought for just $58. I found that I really like Martha Stewart’s line of ornaments. They are classy and trendy at the same time—a difficult feat! There is nothing better than getting a deal on stuff you know you’re going to need in the future. In addition to this box, I got loads of Christmas wrapping paper from Kohls, Target, and World Market. 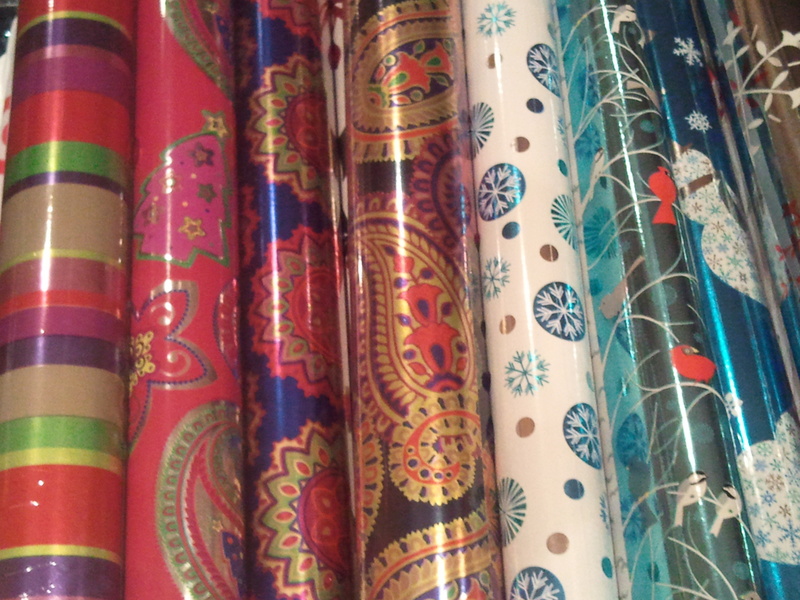 World Market is a awesome place for ethnic-patterned wrapping paper. I was in heaven when I went there. The first 4 rolls on the left are from World Market. The patterns are BEAUTIFUL!!! This is something I'd see at someone else's front door and say, "That's so cute!" I know y’all are thinking…WAIT! Tracie…do you even have a tree? BOOM!!! I sure do! 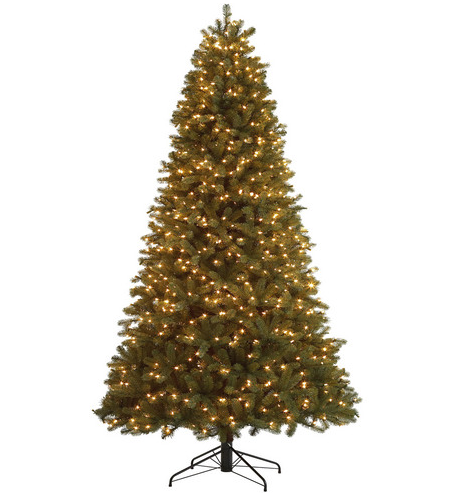 I drove all the way to Lowe’s in Schererville, Indiana (about 40 minutes away from Chicago) to purchase this 9-foot, pre-lit artificial Christmas tree. Originally priced $350, I paid $78 (includes tax). It was 80% OFF!!! I really don’t know how tall the ceilings are in my condo—I tried to throw a measuring tape up to the ceiling and the highest I could get it before the tape fell over and I gave up was 11’8″. There was still a good bit of space left so I’m gonna “guesstimate” and say I have 12.5 or 13 foot ceilings. So this 9-foot tree won’t look like a behemoth in my living area. It’ll look AMAZEBALLS. The only things I still need to buy are garland and wreaths for my fireplace and front entryway. I saw some good garland deals at Michaels recently. And I totally think I can DIY a wreath. (I smell a future project!) I really feel like it’s craycray to pay full price for Christmas stuff. I refuse to do it anymore!! (I’m Christmas shopping bourghie now.) All in all, I don’t think I’ve spent over $250 for ALL my Christmas decor, including a TREE! I can’t wait for Christmas 2012!! Where have you found good Christmas deals in your area? Posted in Hauls and tagged artificial tree, Christmas, deals, ornaments, shopping, wrapping paper. Bookmark the permalink.